Assassination – tool of Revolution – The Contagion of the 19th Century – Are We in for a New Contagion? A number of people have asked what was this Marxist Anarchist movement inspired by Karl Marx (1818-1883) and are we seeing this rise again? 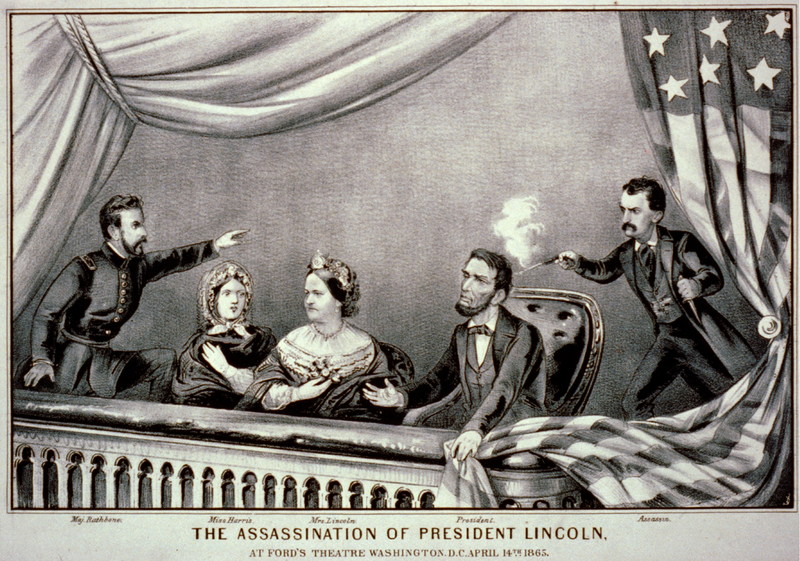 The very idea of assassinating leaders such as President Lincoln and President McKinley was part of an international trend that began during the 19th century and was based upon the theory that some dramatic deed was necessary to spark a revolution. It was called the “Propaganda of or by the deed”, and it advocated physical violence in a dramatic provocative public act perpetrated against political enemies with the goal of inspiring others to act in a popular mass rebellion or revolution. This was a political philosophy which was part of the radical thought process that was emerging with Marxism, but it was not exactly advocated by Marx, who was generally a revolutionary. 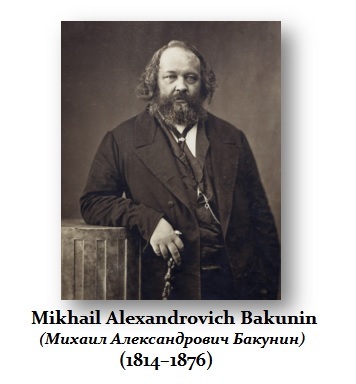 Another anarchist of the period who was perhaps the most influential figure of the anarchism movement and one of the principal founders of the “social anarchist” tradition, was Mikhail Bakunin (1814–1876). Bakunin gathered tremendous prestige during the period as an activist that made him one of the most famous ideologues throughout Europe. Bakunin gained substantial influence among radicals throughout Russia and Europe and in one of his surviving letters from 1870 to a Frenchman concerning what he labelled the “Present Crisis”, Bakunin clearly stated that “we must spread our principles, not with words but with deeds, for this is the most popular, the most potent, and the most irresistible form of propaganda”. Bakunin’s words were popularized by the French socialist-anarchist Paul Brousse (1844–1912), who in 1877 cited as examples the 1871 Paris Commune and a workers’ demonstration in Berne provocatively using the socialist red flag. By the 1880s, the slogan had begun to be used to refer to bombings and tyrannicides. Reflecting this new understanding of the term, the Italian anarchist Errico Malatesta (1853–1932) years later in 1895 described “propaganda by the deed” as violent communal insurrections designed to ignite an imminent revolution. The anarchist movement that began in Russia in 1878 was known as Narodnaya Volya (Народная Воля in Russian; People’s Will in English). 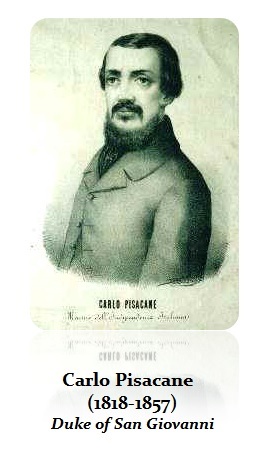 This was a revolutionary anarchist group inspired by Sergei Nechayev (1847–1882) and “propaganda by the deed” theorist Pisacane. The Russian group evolved with ideas that targeted killing of the “leaders of oppression” as indeed the correct path for all political movements where small non-state groups should employ violence. They advocated using modern technologies such as the invention of dynamite. This was the first anarchist group to employ such dynamite on a widespread basis. This was the origin of the Russian Revolution in 1917 and the blood-bath that followed. They assassinated on March 13th, 1881, Russia’s Tsar Alexander II (1818-1881) with a bomb that also killed the Tsar’s attacker. 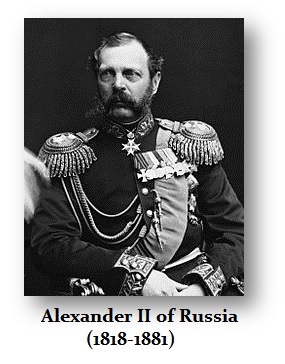 Alexander II was also born the same year of Marx – 1818. This assassination failed to inspire a revolution, but it was taking a step in that direction that eventually led to the Russian Revolution curiously 37 years later (8.6 x 4.3). Individual Europeans also engaged in politically motivated violence during the 19th century. For example, in 1893, Auguste Vaillant (1861-1894), who was a French anarchist, bombed the French Chamber of Deputies on December 9th that year. The anarchist movement was expanding through a contagion process spreading from nation to nation even across seas. Between 1894 and 1896 during the economic decline, the President of France Marie Francois Carnot, Prime Minister of Spain Antonio Cánovas del Castillo, and Austria-Hungary Empress Elisabeth of Bavaria were killed by anarchists. This was the backdrop to the assassination of President William McKinley in 1901 and why his wife fear for his life. 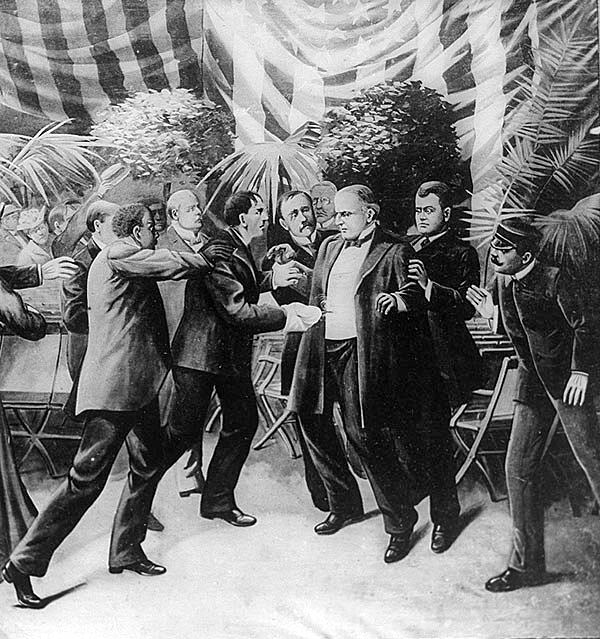 William McKinley, who was the 25th President of the United States, was assassinated on September 6th, 1901 inside the Temple of Music on the grounds of the Pan-American Exposition in Buffalo, New York. He was shaking hands with the public when Leon Czolgosz, an anarchist, shot him twice in the abdomen. McKinley died six days later. Leon Czolgosz worked in a Cleveland factory until he lost his job in a labor dispute in 1893. Thereafter, he appears to have been inspired by the economic turmoil of the Panic of 1893 to embrace this political theory of anarchism. This philosophy was becoming widespread and discussed even on college campuses. By 1901, New York’s Supreme Court ruled that the act of identifying oneself as an anarchist in public was a breach of the peace. 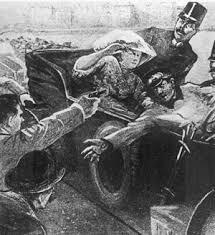 On June 28th, 1914, a teenage Serbian nationalist gunned down Archduke Franz Ferdinand and his wife, Sophie, as their motorcade maneuvered through the streets of Sarajevo. Bosnia-Herzegovina had just been annexed by Austria-Hungary a few years earlier against the wishes of neighboring Serbia. This simply was the hot-bed of political discontent. This event unleashed World War I about one month following the assassination. Clearly, we have a trend in motion that is against government corruption that first poked its head above the surface with the Occupy Wall Street movement. This division between left and right within the United States has been building since 2007. Now that we are in the Cycle of War uptrend staring in 2014, this movement will turn increasingly more violent. More and more people in many countries will rise up against corruption as we saw in Ukraine and this will be a trend that will eventually impact the USA after 2015.75. The worst of the anarchist movement ALWAYS came with the decline in the Economic Confidence Model. So beware 2015-2020.